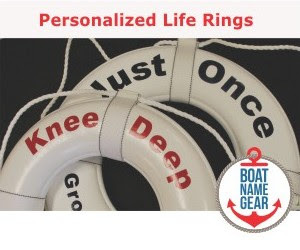 The Progressive® Insurance NY Boat Show actually started yesterday and runs through Sunday. The picture above is from our trip to the show last year; this year they've added "Progressive" to all the signs and banners for the event. Wonder if it's any cheaper to get into the show this year now that they have a big title sponsor? Doubt it, but it's still worth checking out. The 2012 Tullett Prebon London Boat Show opens at ExCeL London on Friday, 6 January and runs through next Sunday (15 January). Our New Years resolution is to get across the pond for this event within the next few years. This weekend, the Houston International Boat, Sport and Travel Show kicks off at the Reliant Center and runs through the 15th. If you were planning to go to this show on Saturday the 7th, make other plans. The show is being suspended for one day to let the Texans play in their home playoff game. Love to fish? Then you'll enjoy the Raleigh Bass and Saltwater Fishing Expo, happening at the NC State Fairgrounds this Friday through Sunday. 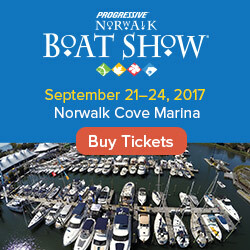 As always, dates, times and links to the official event websites can be found on the First Boat boat show calendar. A few future shows are there as well, though we typically add them at the last minute! If you are attending a boat show this weekend, please post photos or comment, either below or on the Daily Boater Facebook page. Thanks! Photo © Nautical Sites Media - taken at the Javits Center in 2011.